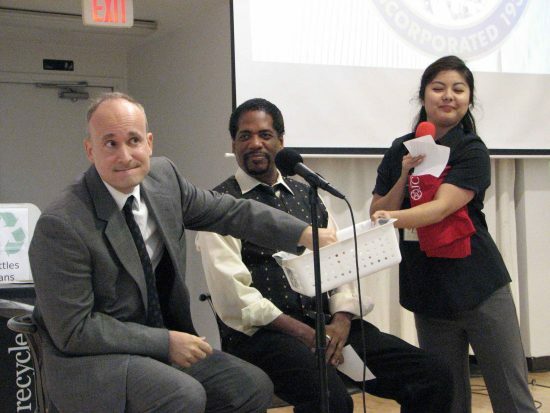 “Freeway City,” a documentary that was 10 years in the making, played to a full house at the Gardena Valley Japanese Cultural Institute on March 26. Filmmaker Max Votolato describes it as “the untold L.A. story of a small Southern California suburb with a big American Dream … a provocative case study of how the collision of race, politics and casino economics shaped the destiny of Gardena, Calif.” Interviewees include Bruce Kaji (on screen), former city treasurer; Ron Ikejiri, former city councilmember; and Gary Kohatsu of The Gardena Valley News. “Freeway City” was completed in 2015, coinciding with the 85th anniversary of Gardena’s incorporation. With GVJCI’s Michelle Yamashiro serving as moderator, Votolato and executive producer Brian O’Neal, a Gardena High School grad and musician (founder of The BusBoys) who also composed the soundtrack, discussed the film, which can be viewed online at www.freewaycity.org. Participants in the discussion included (from left) Grant Nakaoka, former city councilmember and son of the late former mayor Ken Nakaoka; Al Muratsuchi, former assemblymember; Paul Bannai, former city councilmember and former assemblymember; and Jim Dear, former mayor of Carson, whose brother Don served as mayor of Gardena. Nakaoka and Bannai appear in the film. 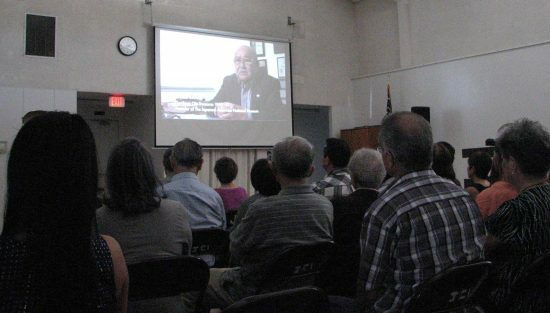 Many attendees said the documentary — which covers the city’s history from its agricultural roots to its status as “Poker Capital of the World” to the role of the Japanese American community — brought back fond memories of people and places from Gardena’s past.